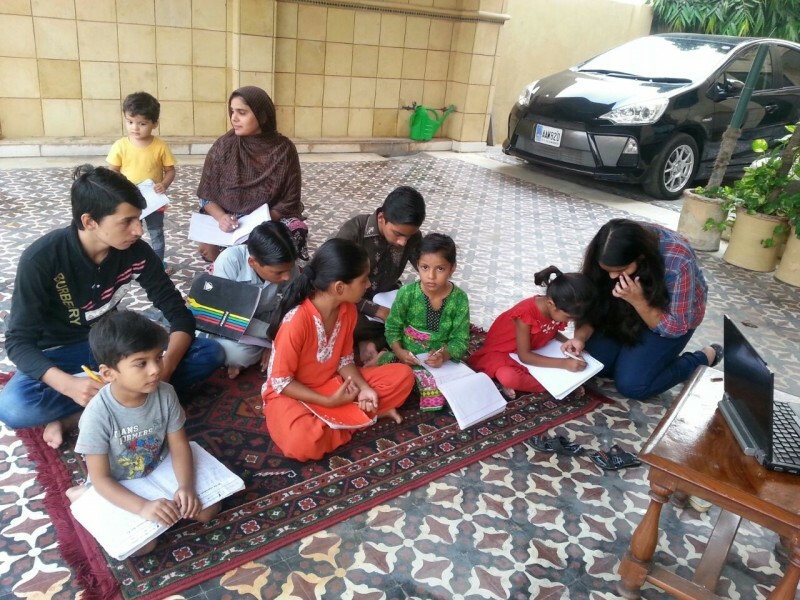 While visiting her grandmother in Pakistan, Fatima Qutab ’21 noticed something surprising about the impoverished children her grandmother cared for: they watched English-speaking television shows despite not knowing the language. 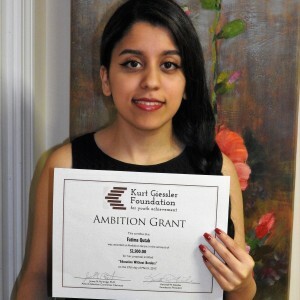 Qutab recently received at $2,500 Ambition Grant from the Kurt Giessler Foundation for starting “Education Without Borders.” Twice a week, with help from her siblings and cousins in Pakistan and using the video calling service Skype, she teaches the children to speak, read and write short sentences in English. In the last four years, her classroom has grown from four to 10 students, ranging in age from 5 to 18. The grant will be used for better equipment, including a new webcam, speakers, and Chromebooks or iPads with Wi-Fi for each student. Running a classroom from her residence hall at Stonehill, more than 6,700 miles from her students in Pakistan, away doesn’t come without its difficulties. The Skype connection sometimes fails, but more than that, Qutab has to mentor through a computer screen. Now that their English is improving, Qutab hopes the Stonehill community will teach them more subjects like grammar and math. Some of her plans on campus include forming a club to help tutor students, starting a Twitter account and raising money to improve the resources for the students in Pakistan. She also plans to expand the project to help other poor communities around the world. “I have not only taught them, but they have taught me to appreciate the privileges I have,” Qutab said.